IN STOCK - and Equipped w/ Slip Clutch & Laminated Tail Wheel. 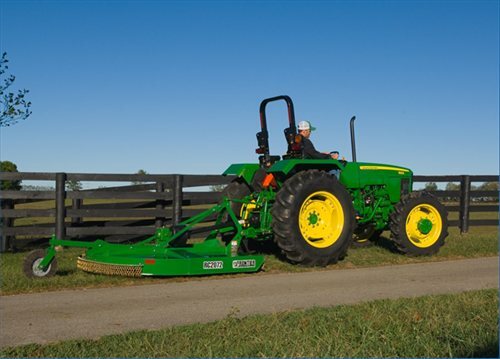 Greater Level of Productivity The RC20 Series Rotary Cutters feature 4- to 7-foot cutting widths for fast, efficient mowing in a variety of conditions and are compatible with tractors from 18 to 90 horsepower. The new RC2084 offers greater cutting width and enhanced productivity. With a large, rugged gearbox, 3/4-inch gearbox mounting plate, and tubular top deck bracing, the RC2084 provides unbeatable strength, durability, and performance.